Zebu has completed two years of college and is getting ready to study abroad for the next year. He just finished sorting through an accumulation of notebooks, folders, and binders filled with paper from high school and the last two years. He came across personal notes that made him cringe, Calculus test scores he’d rather forget, and class notes from his all-time favorite class so far, a Latin American history course. 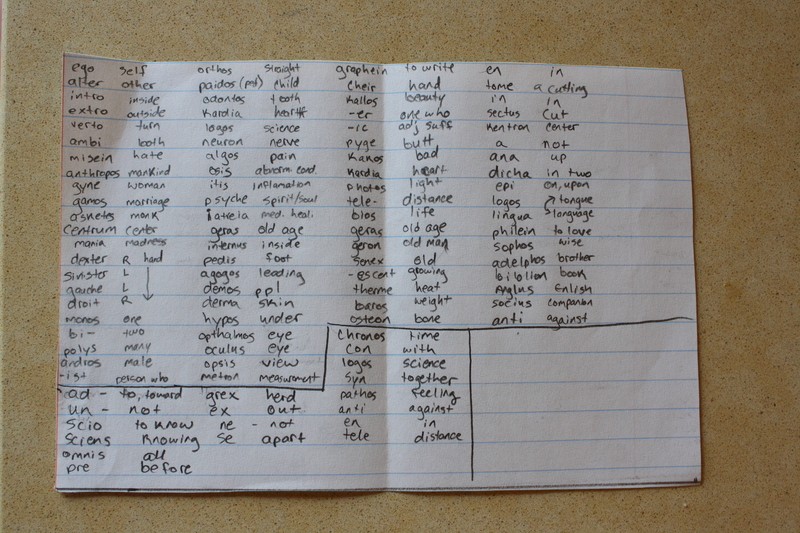 “This may or may not be evidence of me cheating on a vocab test. Gaining perspective is a beautiful thing. ← Give me adorable, STAT!